Maybe you would like to correct some minor flaws in your panorama. The last (and maybe best) option to do so is by using Pano2QTVR. A starters tutorial for Pano2QTVR can be found on pano2qtvr.com. 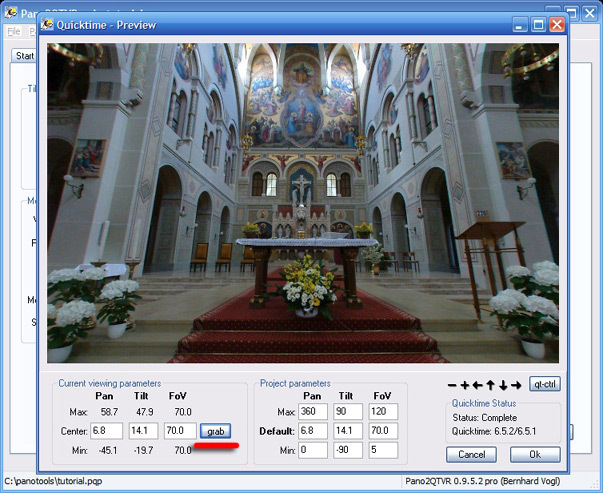 Before we can convert the Panorama to Quicktime, we have to create a ready-to-use equirectangular Panorama with PTGui. We will do so at the tab [Create PAnorama]. We will use an output size of 4000x2000. 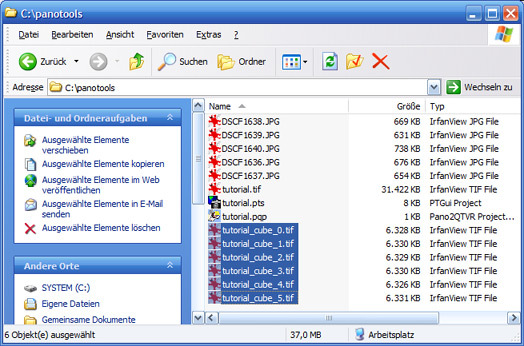 This is a good compromise between Resolution for Fullscreen-Panoramas and filesize. File format shall be TIFF. So we won't loose Quality of the panorama through compression. Also we won't create layers of the transformed source images. This is only useful if you want to further edit seams of the panorama. 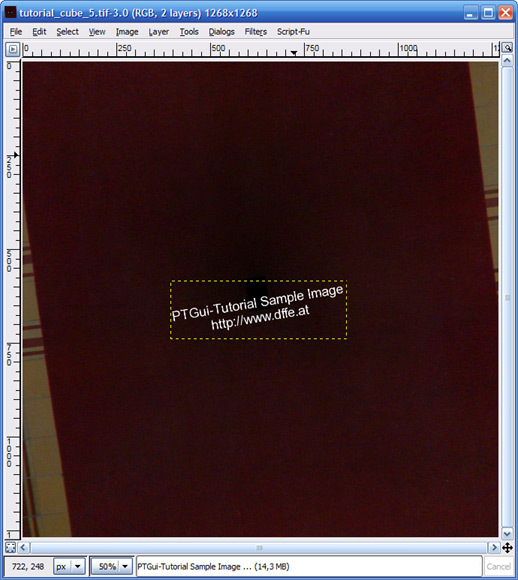 The Stitcher will be PTGui with Panorama-Tools because the PTGui-Stitcher can't handle input images above 160°. Now it is time for Pano2QTVR. Create a new project and select our created panorama as source image. Click the [Convert to Cubic] and confirm the popup-window with [OK]. We are ready now to convert the Panorama to Quicktime. Maybe you are not happy with some default settings. They can be changed easily at the tab [Quicktime Settings]. "Quality" means "quality of the JPEG-conversion". 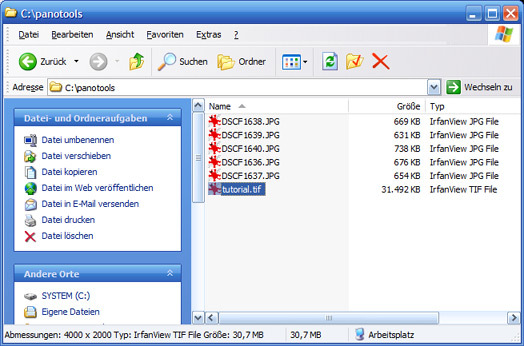 Smaller values mean smaller filesize (but of course lower image quality). "Window Size" will change the size of the initial Quicktime movie window. This will only apply if you open the panorama standalone or don't set a special window size (like fullscreen - see below) for the published panorama. After having found the correct initial view, click [Grab] and [OK]. Re-generate the Quicktime movie with the button [Create Movie]. Some examples of QTVR-Panoramas can be found on my Panorama-page, on Austria-360, as well as on Panoramas.dk and VRMAG, two sites showcasing state-of-the art QTVRs and projects from various photographers. 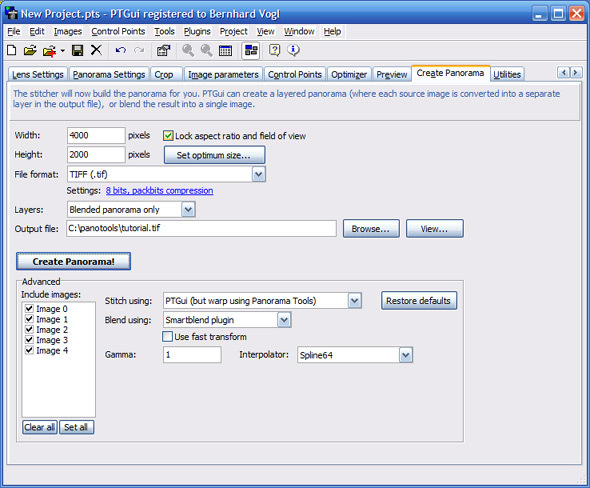 Additional panorama-related Tutorials and a growing source of useful information can be found at the Panotools-Wiki.